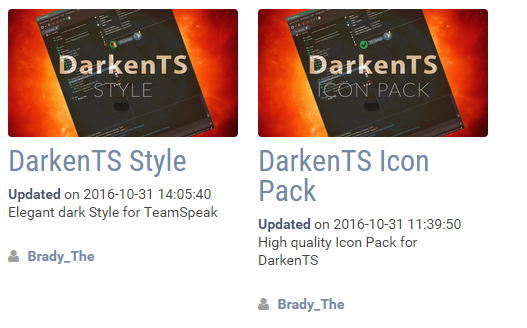 Teamspeak now has a way to sync your bookmarks across all devices with your account called myTeamspeak. All you have to do is go to Tools>Options>Applications then on the right side there is a thing called "update channel" click that and put it to beta. You should then close teamspeak and then have it update. After you have installed the two go you now have to restart the client and then you have a better looking TS aswell as a device synced TS! I do have another theme that I like that shows more information about a client. It has no real benefit unless you're a TS admin. I just think its cool. You either have to select the dark theme or this one depending on what you want. To uninstall themes/icon packs, just go to Tools>Addons>Themes/Icon Pack then click uninstall.